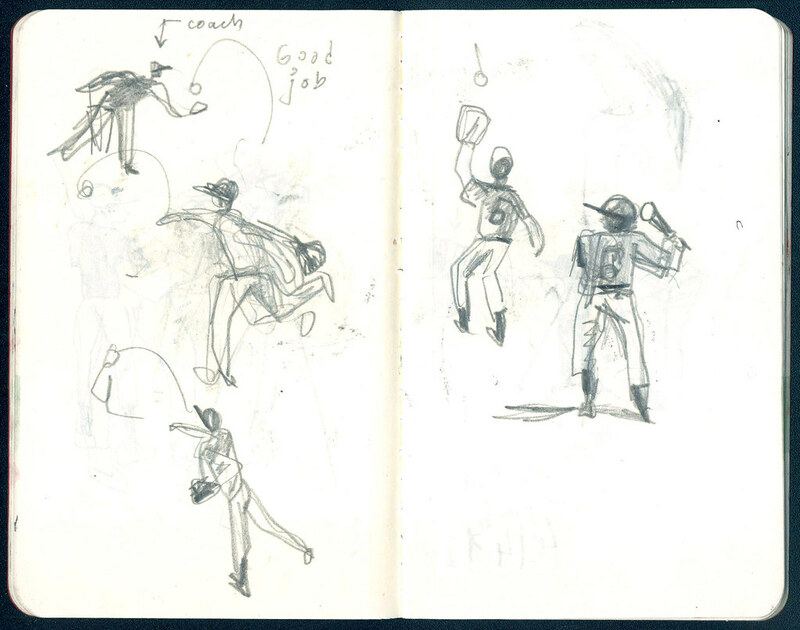 The notes I take during my kids’ Little League games are small, just like the players, but a lot of fun to make. Drawing small forces you to simplify, and you can get a lot of sketches done in a short time. 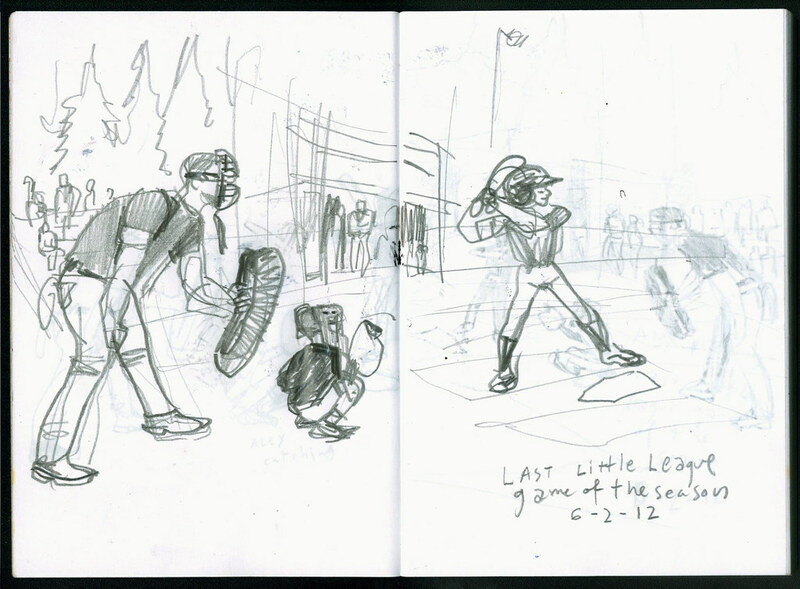 The sketch you see above is just about three inches tall. It only takes a portion of a spread which measures 7″ by 5″. 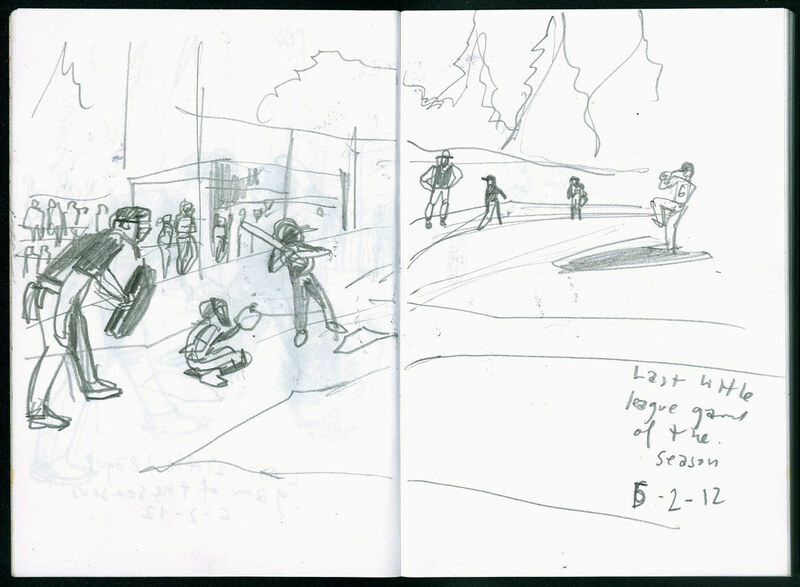 These two other spreads below are the only cases where I aimed to draw a more complete scene, instead of isolated players. 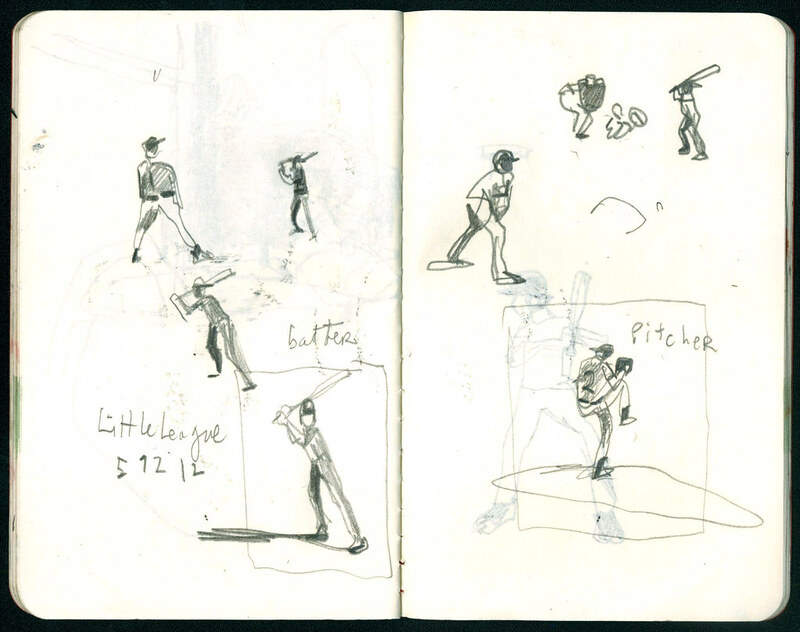 This is a slightly larger sketchbook, but still pretty small. The open spread measures 8″ 1/4 by 6″. 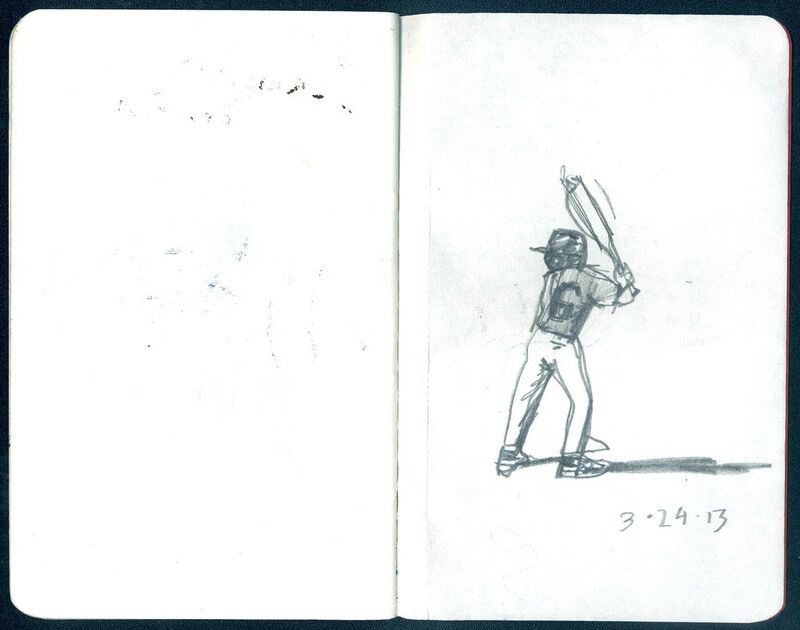 Little League season ended last week, so I’ll have to wait another year to keep practicing my baseball sketching. My kids will be a bit bigger by then, but I’ll continue to make little sketches.